#BecauseWeveRead August: Call for Writing! We're on to our 5th month of #BecauseWeveRead! This month we're excited to introduce a new addition to #BecauseWeveRead: Break Months! Break Months are a month after every few months of reading dedicated to intentionally reflecting on and engaging with the issues, topics, and ideas presented in the past months' readings, whether through writing, art, and/or supporting community organizing campaigns! (...or just catching up if you happened to miss a month...or all four). After all, what is reading and learning without action? Here are our intentions & goals, and how we work! For August, our first Break Month, we're excited to announce our #BecauseWeWrite campaign and contest! This is an open call for writing, reflections, reviews, poetry, and other creative writing pieces on any of the books and films (complete list here) we've read/watched so far and topics they cover (anti-Blackness, Orientalism, internalized racism/white supremacy, self-love/hate, police/prisons, Black history, liberation, decolonization, empire, etc). We encourage you to publish your writing, share on social media with the hashtags #BecauseWeveRead and #BecauseWeWrite, and engage with others' pieces! This campaign and contest is open to everyone internationally, and in any and all languages that you might feel most comfortable writing in! Don't feel comfortable sharing publicly? You can email your piece to us at editor@joojooazad.com and we can share your submission on our social media anonymously! To up the ante a little, we're also offering prizes to the top three pieces produced as part of this campaign, as well as publishing them right here on JooJoo Azad at the start of next month! 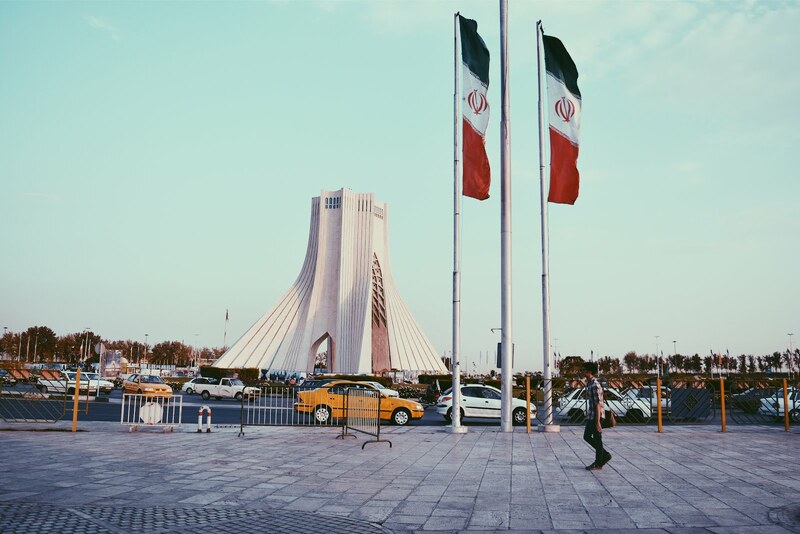 While this campaign is open internationally and your writing can be posted/published anywhere on the internet (your own blog, Medium, Instagram, etc), the only requirement to be considered for the contest is to email us your piece and/or a link to your piece at editor@joojooazad.com with the subject line: #BecauseWeWrite (that way we can also contact you via that email address if you win)! There are no minimum/maximum word count, language, formatting rules. If you don't want to participate in the contest, it is not required to send us your writing, although we'd still love to read it and share on our social media, too! Where: Anywhere! Medium is a great resource for easy online publishing, but also feel free to publish on any platform: on your own blog, your own social media, or even just email privately to us! 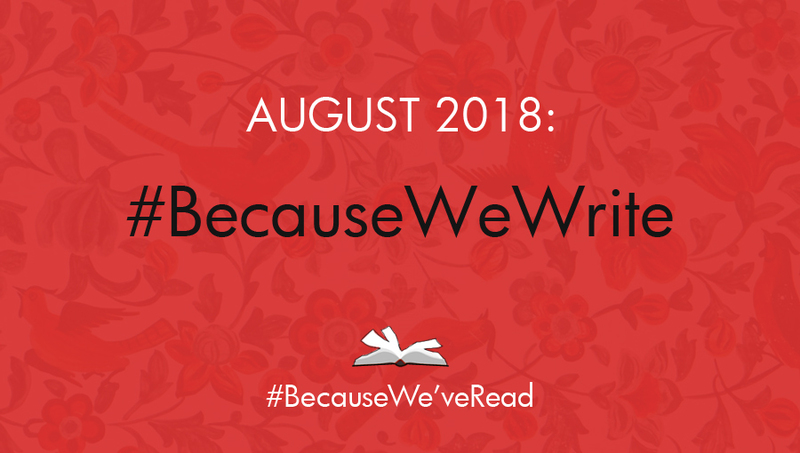 Rules: Use the hashtag #BecauseWeveRead and #BecauseWeWrite, and email us a link to your post with the subject line: #BecauseWeWrite by the end of the month of August! Prize: Top three submissions will be published on JooJoo Azad, along with a small gift mailed to you! Each #BecauseWeveRead Chapter (we have 30 chapters and counting!) is planning an event or discussion in August around the themes from the past #BecauseWeveRead books (from a panel discussion at Rich Mix in London, to live art shows in Detroit! ), and we're so excited! Be sure to follow our Instagram page/stories to stay updated with all of the dates, or contact your nearest chapter host to find out what's happening in your neighborhood! Our chapter leads will also be doing Instagram takeovers of our @BecauseWeveRead account this month too, so even if you can't make it out in-person, you can still tune in virtually! Q&A SESSION: I'll be on Instagram live TOMORROW at 12pm CST on @BecauseWeveRead to answer any questions and go over Break Month details, so if you have any lingering questions, please join us! WRITING TIPS: We're so excited to be speaking with writer, author, editor, and community organizer Devyn Springer next Saturday, August 11th on Instagram live at 11am CST to give writing tips & suggestions to anyone wanting to join the campaign but is insecure in their writing! Mark your calendars! September we'll jump back into reading! In the meantime, we can't wait to read all of your reflections!